I love to create, quite possibly too much. I often wonder, if perhaps, I have a crafters ADHD of sorts. I find inspiration in everything and everywhere - magazines, blogs, stores, the homes of my friends, clothing, and of course on Pinterest. How does one streamline their creative pursuits or directions? I enjoy and want to create pieces of jewelry that are special - custom, upcycled, and/or memory evoking pieces. I enjoy and want to sew pieces of clothing for my daughter. I enjoy and want to create pretty printables and graphics for others to use. I enjoy and want to create decor items that add coziness and an unexpected twist to our home. I enjoy and want to customize pillows, bags, and clothing with my embroidery machines and/or with vinyl to share with my friends and family. I enjoy and want to share the different ways we use essential oils in our home and lives. I enjoy and want to create memory books for my children to look through and realize how much they are loved and adored. I enjoy and want to cook meals that fill my families hunger pangs and encourages us to continue striving towards healthier living. I enjoy and want to continue teaching creative workshops - in all of their various winding directions. I enjoy and want to continue helping independent small business owners grow their businesses by streamlining processes and utilizing technology to save them both time and money. I enjoy and want to create cards and other greetings to show my friends and family that I am thinking of them and that I celebrate their accomplishments and embrace their struggles. I am constantly drawn in all of these creative directions and surrounded by limitless inspiration. I jot down ideas or sketch out the resulting idea and buy the supplies necessary to create my version, and then life happens. I end up getting sidetracked or overwhelmed and then nothing else happens. I can't even begin to count the number of unfinished projects waiting to be completed. Even if I had an unlimited supply of free time, I would likely end up spending that time getting further inspired which would only compound my struggles. Have you ever found yourself in a like situation? 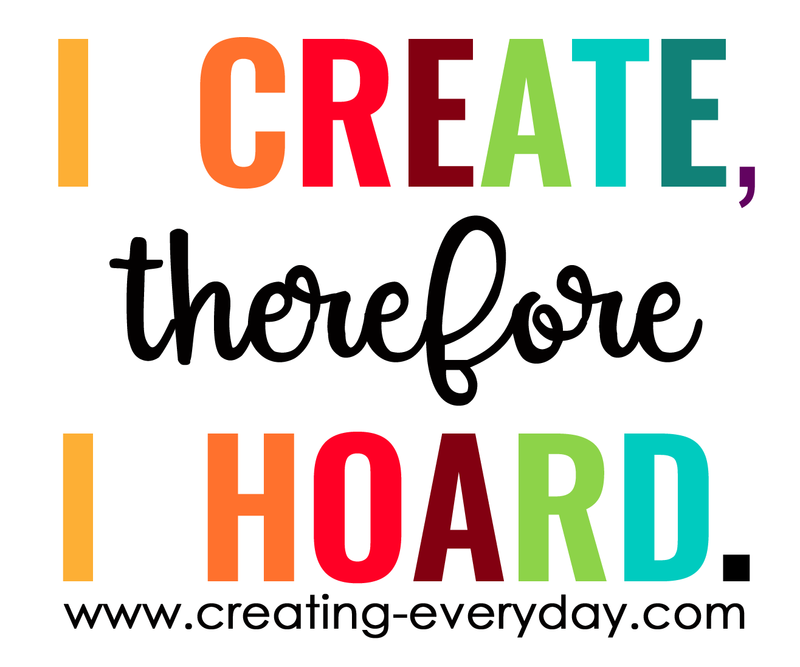 How did you determine how to streamline your creativity? Thank you for your comments and suggestions when I asked about menu ideas on my Facebook post. Here's what we're planning to have over the next week or so. I'm trying to plan ahead, prepping as much as I logically can, so that our meals can get back on target. If we had an unlimited budget, I wouldn't feel bad about eating out more. But, we have plans that we want to see happen - and thus budgets are necessary. I'm hoping/planning to use up any leftovers as lunches (Steve and I) or on another dinner that week. What do you have on your plan?